Club Going Up On A Tuesday doesn’t just apply to clubs even though that’s what the lyrics say. Orange Theory Fitness decided to Turn Up for real Tuesday October 14th. 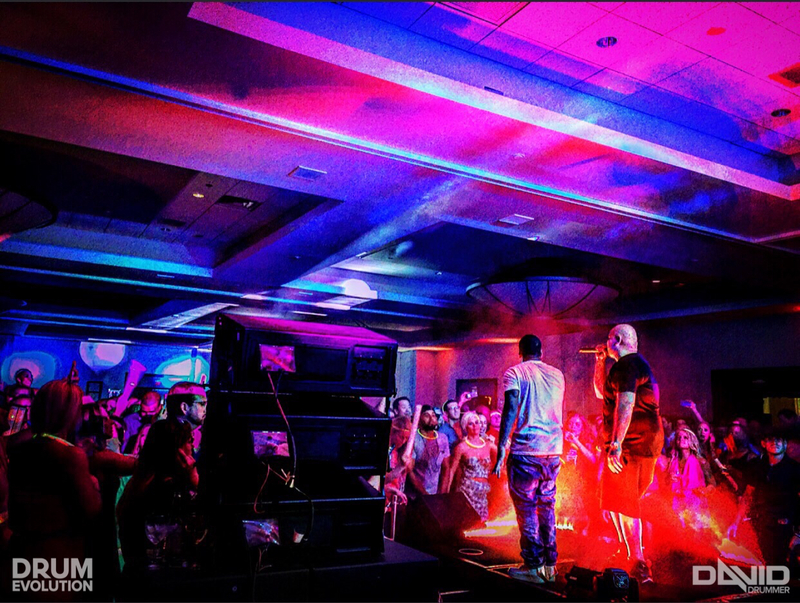 The Marriott Harbor Beach Ft. Lauderdale was the location of an event that needless to say was pretty awesome. The production for this event was perfect. From staging to Lighting and Performers (yours truly). Things kicked off nice and smooth with the sounds of Miami’s own Dj AFFECT and well I also got to perform doing my LED Drummer Robot Show. The opening song to this event was Watch me (Whip/nae nae) and let me tell you people really like that song. I think it’s played out but that’s just me. This dude jumped on stage and honestly he was the one to brake the ice. People started going nuts and from there it was just straight up raging! I’ve never performed with AFFECT before but we killed it. The crowd was having a great time and the tip of the ice berg was when mister Fat Joe made his appearance. For the looks of it he was actually staying at the penthouse and when asked if he would like to make a special appearance he was happy to do so. People went nuts and Leaned Back quite a few times. Over all the three hours of party time were not wasted. I like how people don’t expect to see an LED Drummer Robot. Phones were out capturing the moment and well i can’t wait to see the cool pics and videos people took. So, Not bad for a Tuesday night right? I love what i do because it’s amazing to see how much people appreciate what i do. It’s the reason i keep going and improving my show. Entertainment allows for people to forget about absolutely everything and just enjoy that moment. With one or two cocktails or Ten they’re just focused on having a good time.